If you have a swimming pool, ask yourself a question: How many days would you have used your swimming pool last year if it had been just a little bit warmer? A swimming pool is terrific when the weather is warm, but many weeks out of the year it is simply unused due to the temperature. With this thought in mind, let’s talk about why you should install a solar swimming pool heater from Solaron of Auburn! 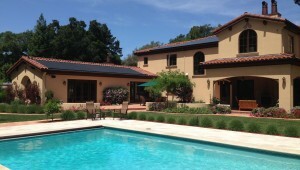 Solar swimming pool heating, compared to other technologies, is low-cost and enduring. Spread the price of getting it out over 15 years and the price is incredibly low to heat the swimming pool. And anyone who warms their swimming pool with natural gas or electricity knows that it quickly gets costly, both to install the heater and to run it. So if you need to heat your swimming pool, a solar swimming pool heater is the most economical technique. When spring arrives, suddenly it’s eighty degrees out. Yet the nights are still chilly and the swimming pool is still a little too chilly. At this point, you find yourself wishing you had solar heating! That’s why it’s time to start thinking about heating your swimming pool! Solar not only keeps your swimming pool warmer during the summer, but it also increases your swim season from at least April to October. Solaron installs Heliocol swimming pool heating technology. We trust Heliocol to work effectively and efficiently every time, with every installation. Olympic organizers trust them too, with Heliocol solar swimming pool heaters installed for the Atlanta, Athens and Beijing Olympics. Whether your swimming pool is too chilly, or is a little too warm, a solar swimming pool heater boosts the temperature with warm daytime operation or minimizes temperatures by pumping cooler water at night. When you determine to install a Heliocol solar swimming pool heater, you want the best contractor you can find. 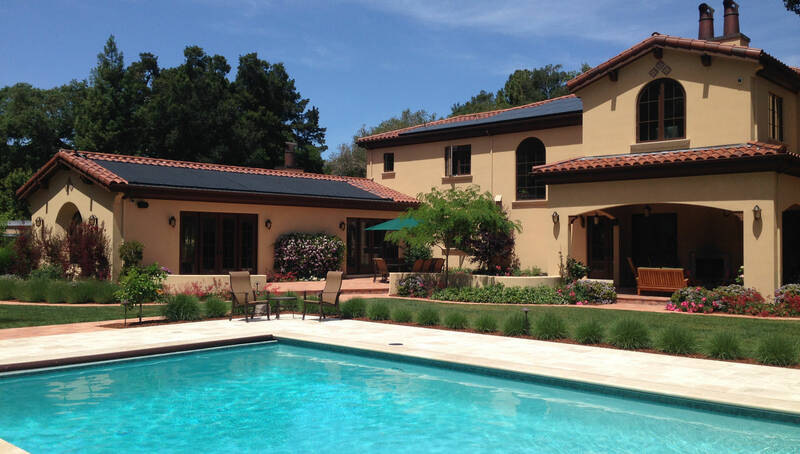 Solaron has the most experience in Auburn, because we are the #1 installer for Heliocol in all of California. When you consider the large number of family pools throughout the state, and the size of its cities, that really means something! Buy your solar swimming pool heater with confidence by going with Solaron! Contact us today at 916-631-9293 or online via our website.